Science and Living And Non Living Things - which charactaristic is used to group fruits? 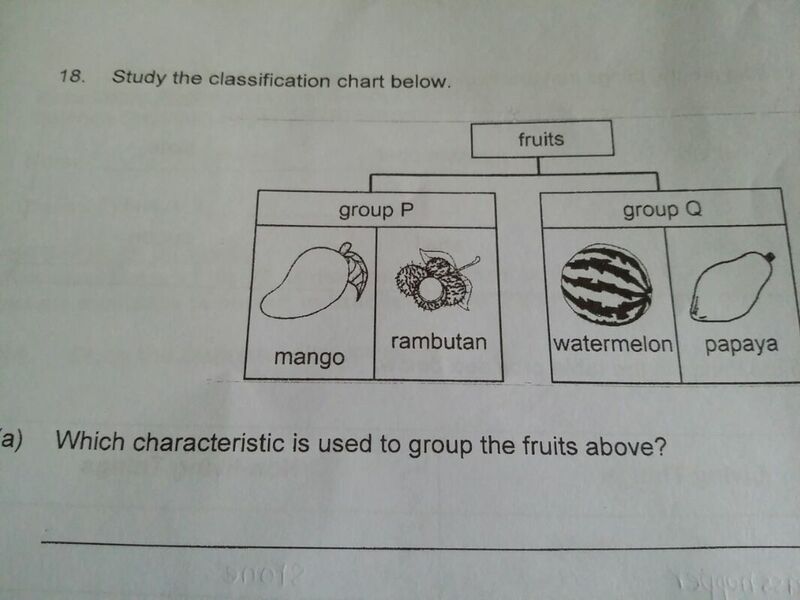 which charactaristic is used to group fruits? Search on Wikipedia for each of the fruits and compare the properties of each to see what is similar. Mango and rambutan have large seeds in the center. Watermelon and papaya have small seeds.